April 3, 2018 — Landed Japan, the definitive guide to Japanese real estate, has been expanded and updated with new information for individuals and companies buying property in the world’s third-largest economy. About 50% of Landed Japan (ISBN 978-988-14790-0-6) is new, including chapters about Hokkaido, Greater Tokyo, Nagoya, Kansai, Fukuoka and Okinawa. The 348-page book also includes six case studies, information on major infrastructure projects throughout Japan and checklists for buyers. Six chapters from Landed Japan will appear on the website of the Nikkei Real Estate Market Report (NREMR), a magazine for large institutions investing in Japanese real estate. NREMR is published by Nikkei Business Publications, which is part of the Nikkei Group, one of the world’s largest financial media companies. That experience inspired four books: Landed Hong Kong (2008), Landed Japan (2010), Landed China (2013) and Landed Global—which includes case studies and data from more than 110 countries and territories—in 2014. A second edition of Landed Hong Kong was published in 2015. Landed Japan (15×23 cm, softcover, 348 pages, ISBN 978-988-14790-0-6) is available from http://landedbook.com and from Amazon.com sites around the world. An ebook edition (ISBN 978-988-14790-1-3) in EPUB and MOBI format is available from http://landedbook.com, kobo.com and Amazon.com. 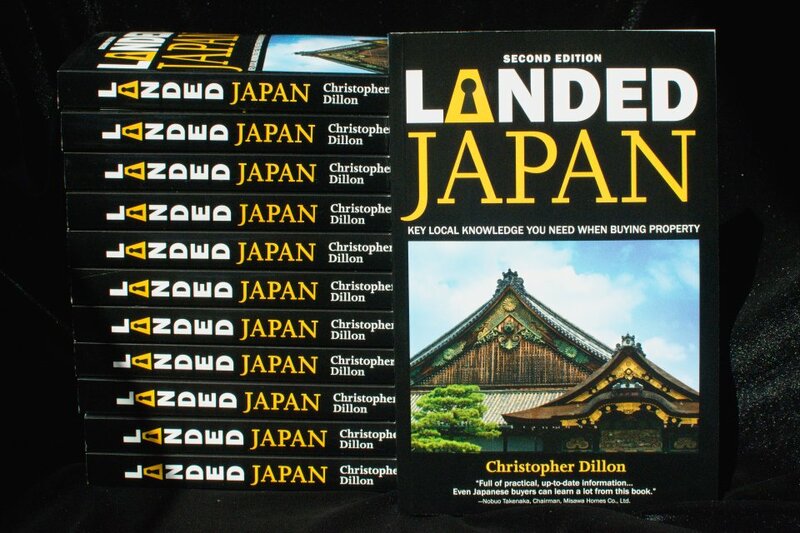 Landed Japan was published in February 2018 by Dillon Communications Ltd. Updates can be found on Facebook at http://www.facebook.com/LandedJapan and on Twitter @landedbook.